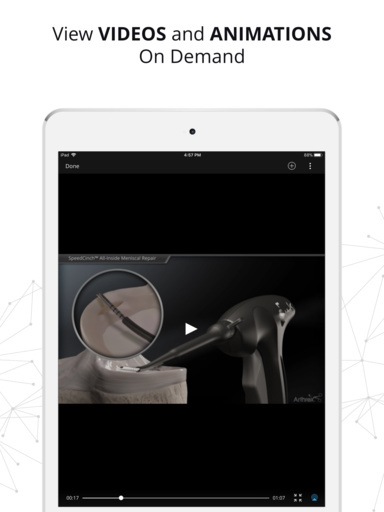 To access the Android version, click here. 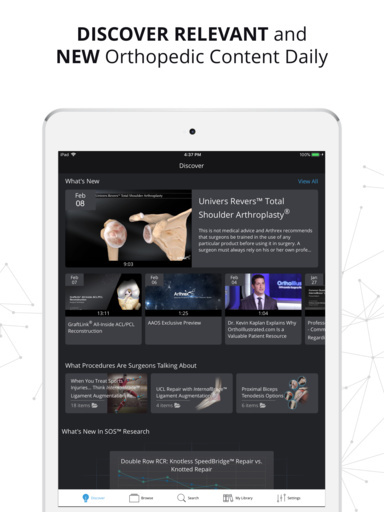 The Arthrex Surgeon App provides 24/7 mobile access to Arthrex’s extensive digital orthopedic knowledge and resource library. 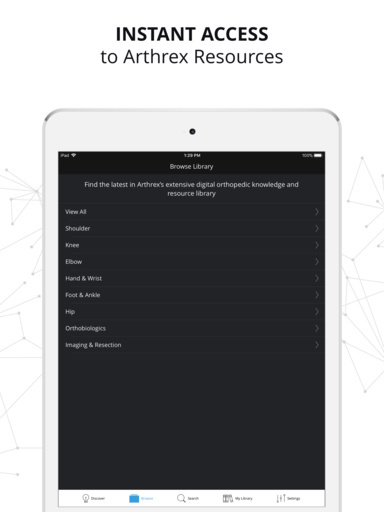 The app allows you to consume content online as well as offline. 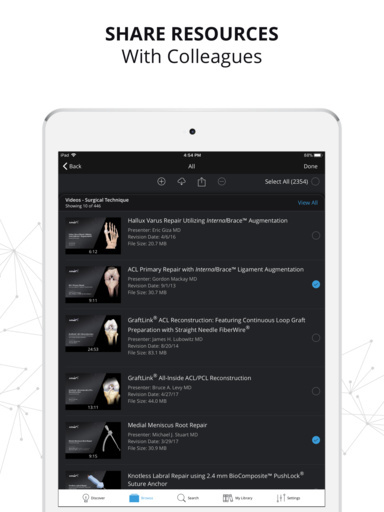 The Arthrex Surgeon App is compatible with iPhone, iPad, and iPod touch.